Sunday is weigh in day…I briefly noted in Day 4’s post that I had lost seven pounds. I was excited. I still am! My official weigh in on Sunday morning was 443.2 pounds, actually 6.8 pounds lost in 5 days. I am sure most of that is likely water, but, nonetheless it is results!! Spending Easter with grandchildren. 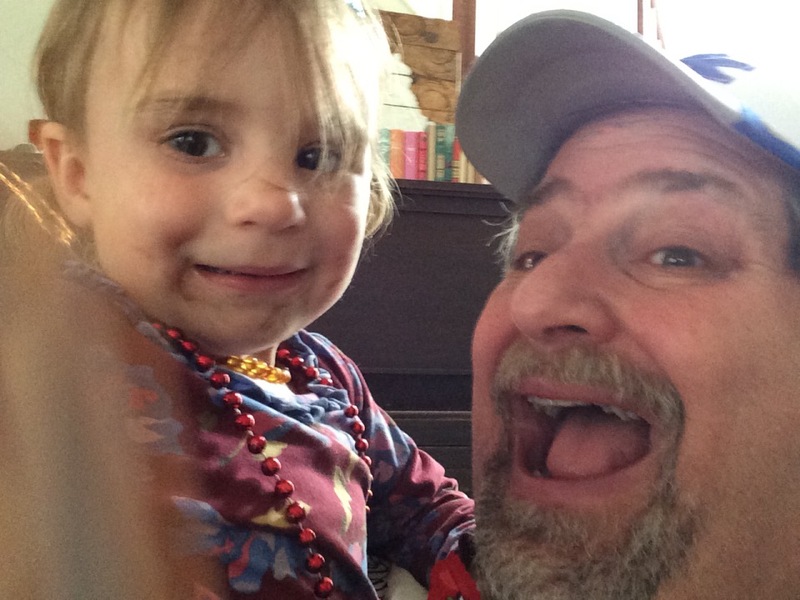 This is my granddaughter Lyla having fun with me. She had just gotten back from a trip to the beaches of Florida. Sunday was also Easter. Sunday is also going to be a day of rest for me from my daily walks…not an escape, just a day to let my muscles and knees catch up. We worked a bit from home and then spent the afternoon visiting grandkids. 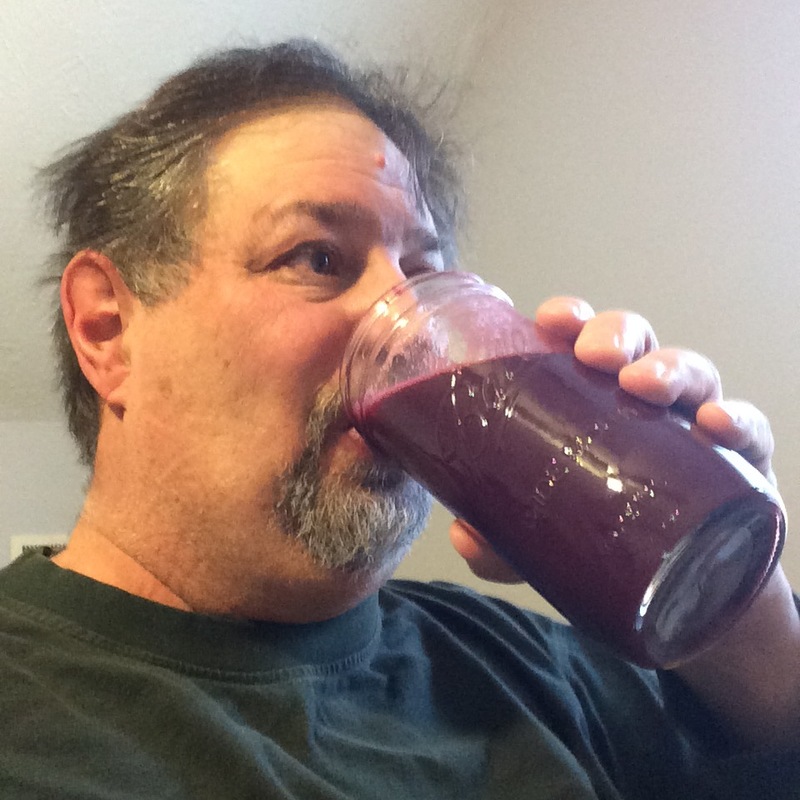 Started off the day with a nice jar of juice made from beets, carrots and some fruit…not sure what all was in there. But it did the trick! My daughter Chelsea had an Easter gathering at her house and we dropped by. Friends of her fiance Jorge’s were there making “Pescado” or fish. Actually frying up fresh tilapia. I did break down and have one (shared with my wife). Lots of oil, but little fish on those things. But, it was really good!! 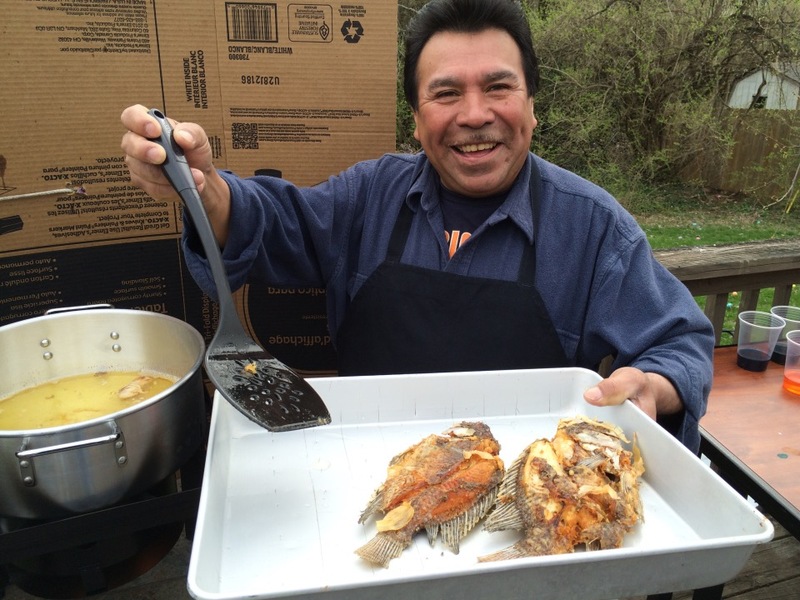 Friend of Jorge’s – Carlos, showing off his Pescado preparation skills. His smile drew me in to have some. It was good. Didn’t have much. 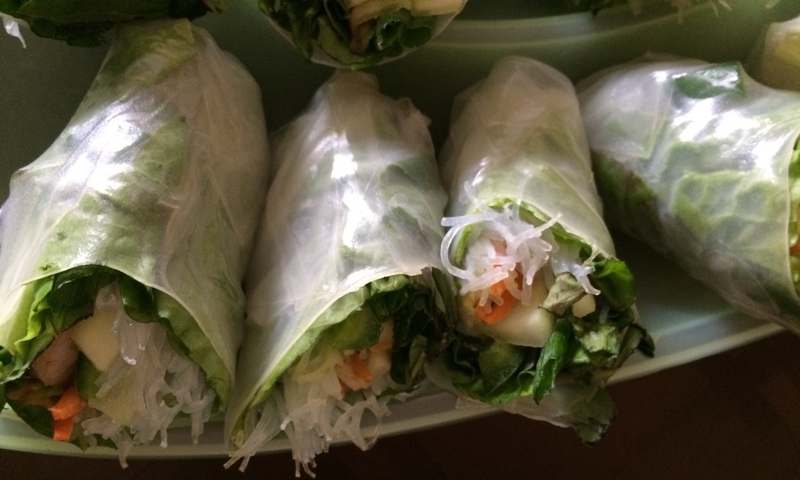 Chelsea was thoughtful in that she made spring rolls with lots of veggies and a tasty sauce. She also had brown rice with some nopalitos (Nopales is the Spanish name for Prickly Pear Cactus pads – nopalitos is pickled cactus). 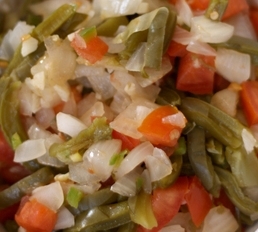 The spicy nopalitos coupled with the yummy green salsa over the brown rice was amazing!! The real proud moment was totally skipping all of the sweets. At Chelsea’s house that is hard to do. In my opinion, she is the Cake Boss of Lexington. She had awesome looking Easter cupcakes, that probably tasted just as amazing, but both Julianne and I resisted the temptation to try one. We skipped out on the Easter candy too. Small victories! 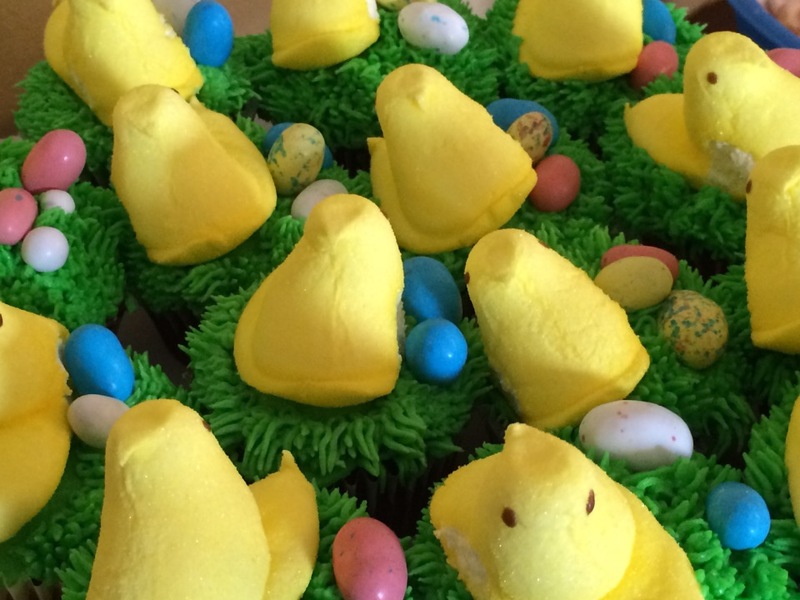 Chelsea’s Easter Cupcakes. Didn’t eat them but wanted to show off Chelsea’s talent to all. Yes, she does take orders!! It was a good Easter. Watch for my next weigh in report in a week. Will I be under 440 next week….well, for me it is 440 or fight! !